Back on the blogging wagon today after a weekend away visiting family. The twincesses and I had a 4 hour non-stop drive home late last night so today has been a bit of a write off as we're all exhausted! But I did stick on a dress for the penultimate day of FrOctober and something I've not talked about on the blog before - a snood! Now I hate the word snood - a combination of a scarf and a hood I think? I currently own just this one but my friend wears them a lot and that's what prompted me to dig mine out again. And I found it was easy to tie and had no long ends to get caught in the car door. In the first photo, I've wrapped the snood around my neck twice - snug and cosy. In the second, it's just wrapped around once and fluffed up a bit for a fuller look and in the third photo, I've knotted it. So they're more versatile than I gave them credit for in the past. 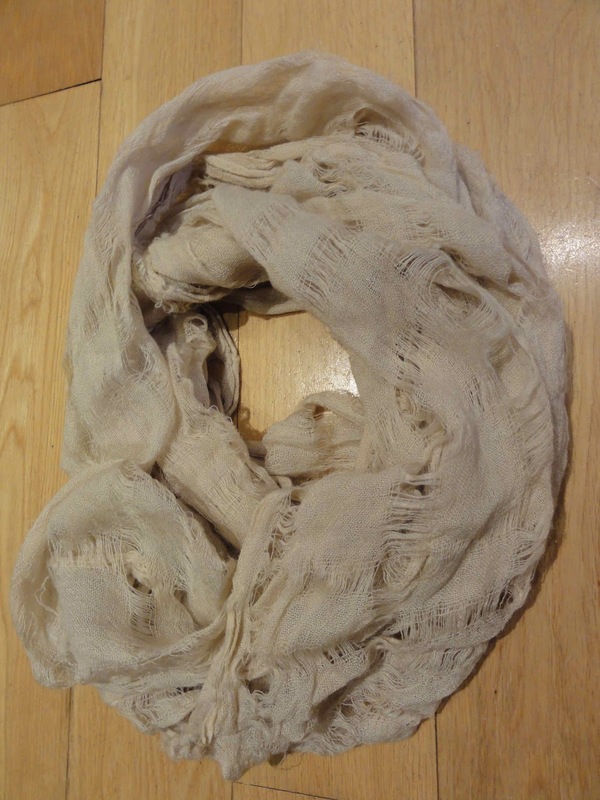 Here's a round up of some great snoods in the shops at the moment. 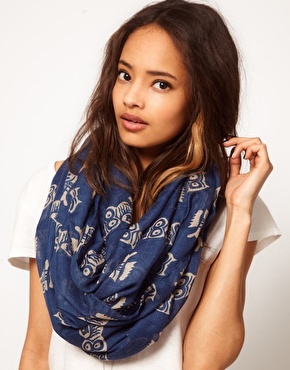 Finally, check out these gorgeous prints from ASOS - I want them all! I have a snood which I must dig out. Thanks for the inspiration. I actually love snoods. Have you ever seen the American Apparel circle scarves? They're enormous jersey circles and you wear them so many different ways. Best things ever. I can't do them. I bought one from Primark earlier this year and then unpicked the joining seam and turned it back into a scarf ... and then never wore it again as it then became a neither here nor there scarf I don't mind the big woolly ones as much - they seem to work better somehow. Have contemplated one for wearing around the house when I don't want to dangle some scarf ends in the dishwasher yet again. Like the new layout of the blog - the paler background sets off the pictures really well. Noooo! 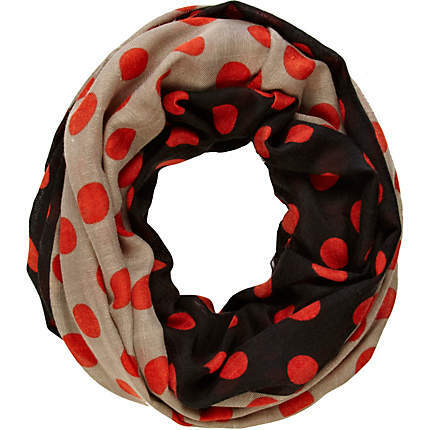 - too much bunched up fabric around the neck... (although I do admit that red polka dot River Island one looks nice in the picture). Not sure about snoods and I just don't understand the name! My baby is 19 months old so I have a few years until School Gate style is a daily must! Love your blog. Love the new look of the blog! Now I have never heard of a snood. 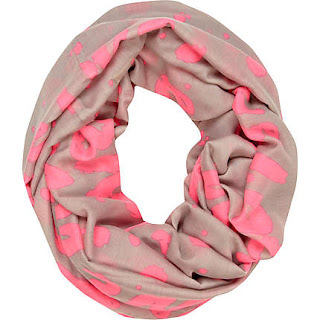 I think we call them infinity scarves in North America or neck warmers for the tighter versions. I have just learned something new. Thanks Avril. 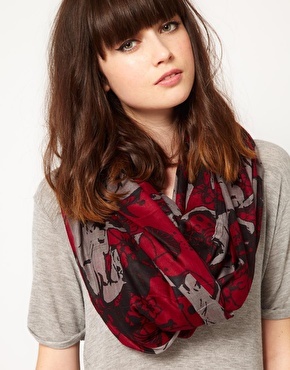 Loving the Asos owl & the Next one in plum! 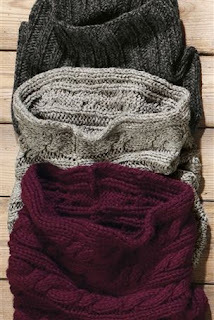 H&M have some great knitted ones that go with their wrist warmers! love snoods! Primark always seem to do some good ones quite cheaply if you want a quick and easy way to try them out. Ohhh I like those knitted ones! 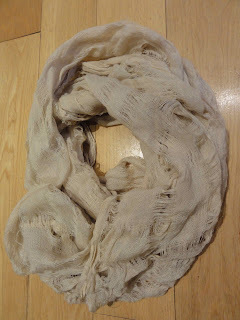 I have a super long scarf that I tied to make in to a snood, and I live it!! Definitely need to get some more for winter.